I know I haven't been here in awhile, I've been keeping busy with working at the Restore and my back & shoulder have been bothering really badly lately. I went and seen a CNP at the clinic I go to and explained my problems, then she ordered X-Rays. I just found out the results today, after 2 weeks. She said my shoulder looked good as far as the bone, and said it could be arthiitis or tendenitis. It likes to pop, grind and get painful from repetive motions. Then my back, my neck portion was fine, but my mid back has mild Scoliosis and my lower back, which what bothers me the most, has full Scoliosis. I've likely had it a few years. I get to see a Chiropractor next week. The thing that made me go see a doctor was after I had to lift and load a Toilet into a truck by myself at the Restore. That hurt my back for 3 days. Be careful with your back. It can take a long time to get it put right. I have been trying to take it easy, limiting my bending and lifting the best I can. Sometimes my daily activites irritate it. I was on a temporay restricton to not do any lifting until she got my X-Ray results but she didn't give me any more restrictions. I'm hoping the Chiropractor will give me some restictions mainly for my own good, so I don't do anything stupid because sometimes I can. I plan to be as careful as possible because I don't want it worse. I'm not even 35 yet, and don't need more back problems than I already have. My wife has that. Be careful! The Chiropractor reviewed my X-Rays, my spine is 14 degrees out of whack. He also said my neck has had arthiritis for at least 10 years and that it appeared that my L5 disc may be bulging, but its hard to see on an X-Ray. I'm looking at at least 2 maybe 3 years worth of visits to the chiropractor to get me straightened up and my pain taken care of. Good luck. 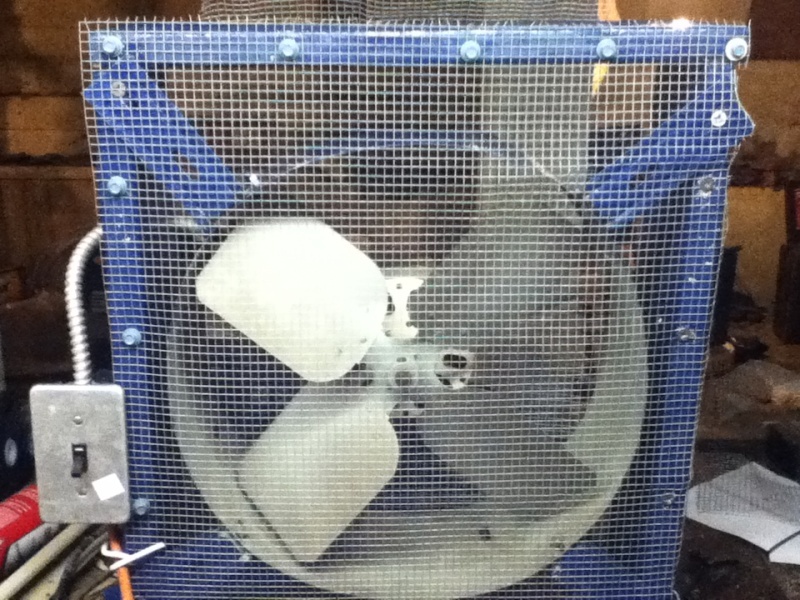 Could you put up a pic or two of the fan up on the site? Here are some of the fan. It's a bit noisy, but at least it drowns out the annoying neighbor dog. LOL. 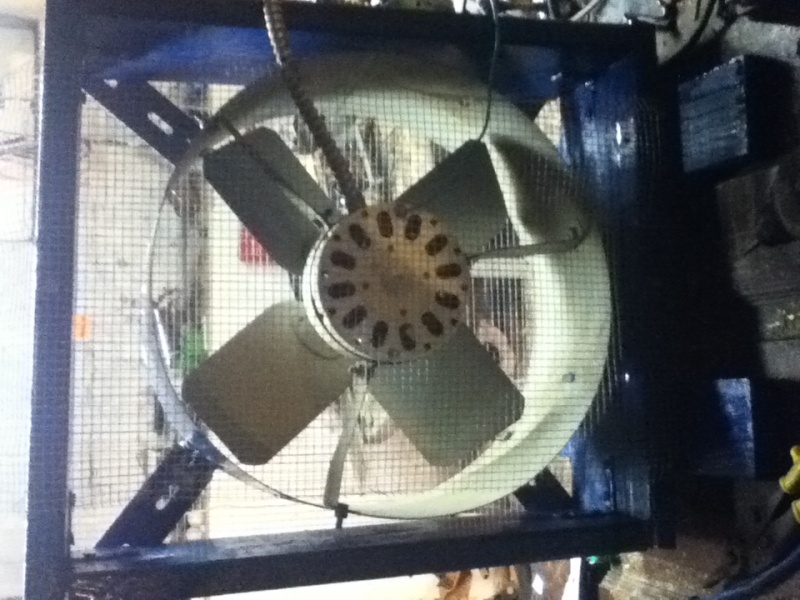 Basically I took an old exhaust fan and built a frame for it to make it a window/standalone fan. It's just a simple shaded pole motor that was originally 2 wire. 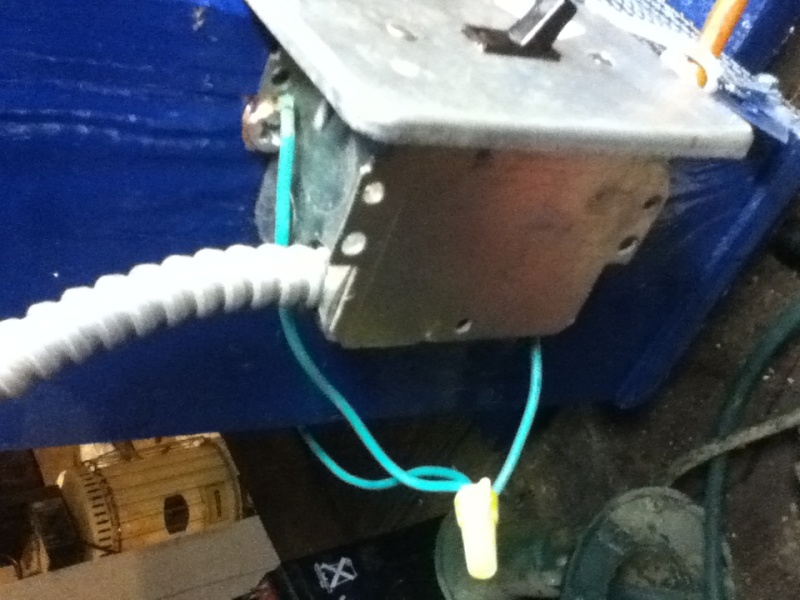 Since I used steel hardware cloth, a steel switch box and switch cover, I added a ground wire to the case of the motor and switch box. The switch in the photos was just temporary. I was going to use a dimmer switch to slow it down sometimes but the one I had was bad. So I just used another switch I had. It's an old one probably from the 50's or 60's, it's a light switch but designed like a rocker switch. I think it gives it a unique look. I'll get a photo sometime and add it. 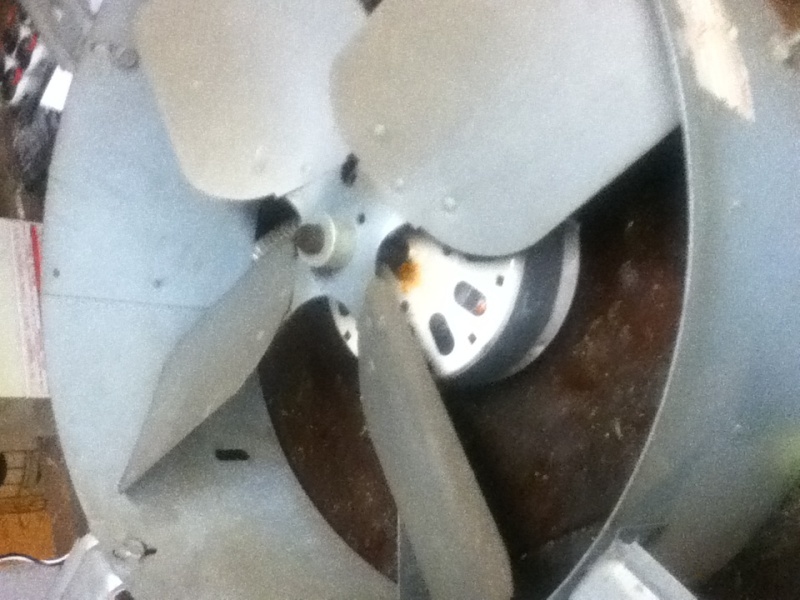 It was an old Sears Homart fan like this one. It does alright for what it is and what I have into it. I probably have like 15-18.00 or so into with a few days worth of work. It's a bit heavy too. It's made with 1X5 1/4 decking(or similar) and like 2x3's(or similar) for feet. It's held together with corner brackets and it's basically an 18" fan since it's boxed in. 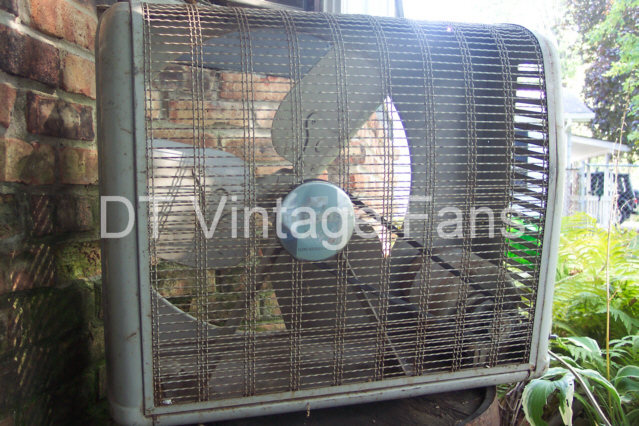 I imagine old box fans like the one shown are great performers. 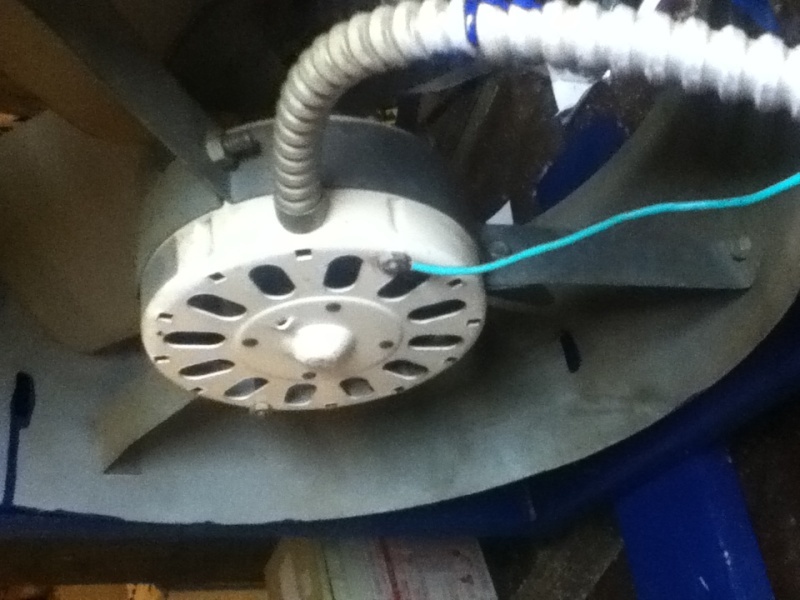 I am on the look out for an old belt driven fan, that way I can control how fast it spins by choosing the exact motor I want. Next time I use my fan, I'll take about a 30 second video and put it on my google drive , then share the link here.